Hi, Good Morning. Thank you friends and viewers. 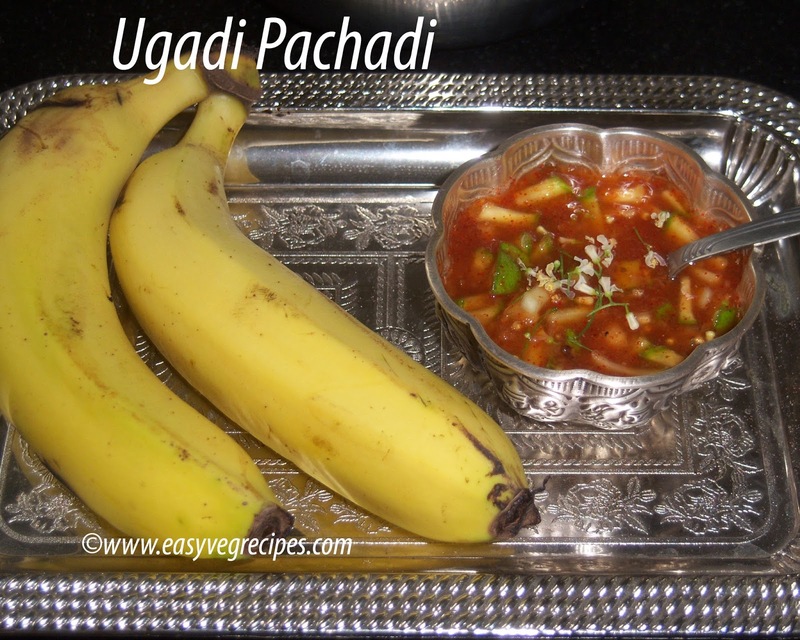 Today I will post how to make Ugadi Pachadi Recipe. 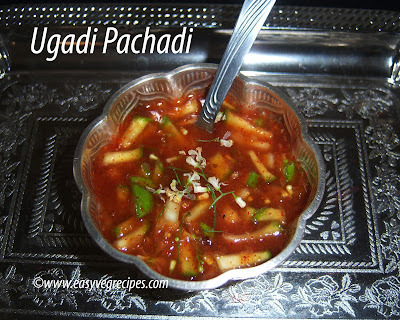 Ugadi pachadi is a special dish made on the day of Telugu New Year's day i.e. 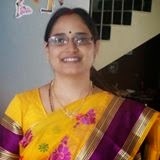 Ugadi. It is a mix of all the main tastes. It has sweet, sour, salt, spicy, bitterness and umami(we call it vagaru, a kind of taste of unripe fruit or vegetable). It replicates one's life. As we have all in life like happyness, sadness, dislikes, disagree with others, angry, anxious everything., It is meant that we have to take every part of life as it comes and should enjoy it. We make this pachadi with all the fresh ingredients and every one in the house even kids are also made to eat it compulsory. We do not cook anything for making this pachadi. Just mix all the ingredients and serve. The original ppachadi is made like this only. To show our creativity in making this pachadi we can add some more ingredients and some people even temper it. But I don't like all that, so I don't do all that. Every Telugu household prepare this pachadi and rest dishes are our choice. We get lot of neem flowers in this season. This is the main ingredient in this pachadi. Collect the neem flowers and clean them. In a lagre mixing bowl add all the ingredients, mango pieces, chopped jaggery, salt, red chilli powder, and pour tamarind pulp over it. Mix it well and salt, tamarind pulp and mangoes oozes water so this will become thin after half an hour. 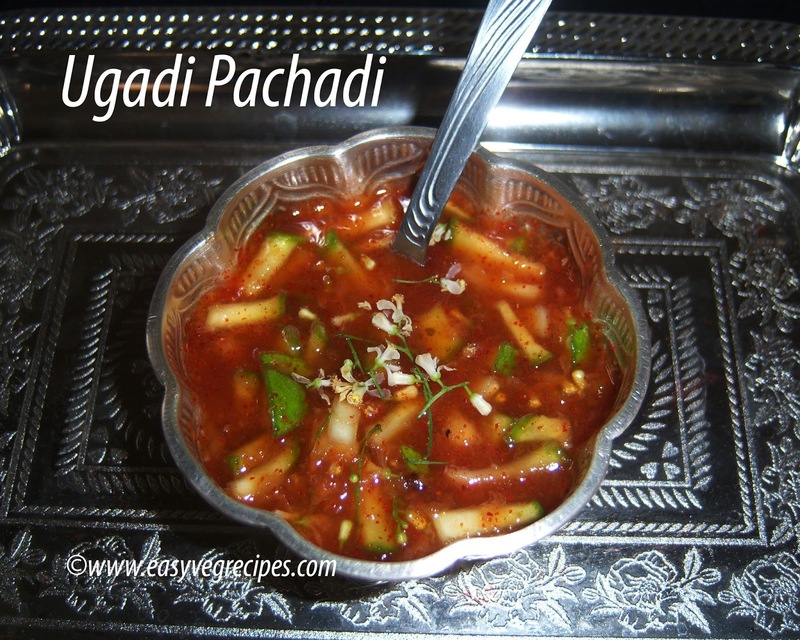 Serve ugadi pachadi after offering it to god.